In line with ERWAT’s Talent Management Strategy, the Company offers comprehensive bursaries to students for full time studies. Every year bursaries are offered in specific fields of study, which meet the particular needs and skills requirements of the organisation. Academic performance and merit will be the deciding factor for consideration. First year applicants will only be considered if already applied and accepted at an institution of Higher Learning for BSc studies in the above mentioned areas of study. The bursars will be required to enter into a contract with ERWAT. You meet the entry requirements for your chosen field of study at a registered university. You have partly completed a qualification and you are an above average academic achiever. You have achieved excellent scholastic success despite the lack of opportunities and financial support. Preference will be given to Ekurhuleni residents. Which qualifications are bursaries awarded for? Bursaries are awarded depending on the particular need for specific skills at the time of the awarding of the bursaries; this will be in the engineering, chemical, physical sciences and technical studies. What will ERWAT expect from you? ERWAT expects the students to pass their course with good marks. The bursary will be awarded for the next year of study only when you have progressed satisfactorily. Modules that are failed will have to be repeated at your own cost. If your qualification requires practical training in order to obtain the qualification, ERWAT will provide such training. ERWAT will require that you remain in its employment for a year for each year that you received the bursary. If you fail to adhere to the bursary agreement, the bursary will have to be repaid to ERWAT. How are the bursars selected? 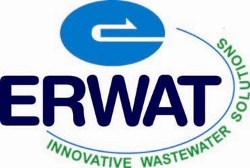 A selection committee will interview applicants at ERWAT Head Office. Final awarding of the bursary is dependent on satisfactory end of year results, acceptance by an institution of higher learning (e.g. University).